PMI is proud to host its Global Congress 2008—North America in Denver, Colorado, USA. 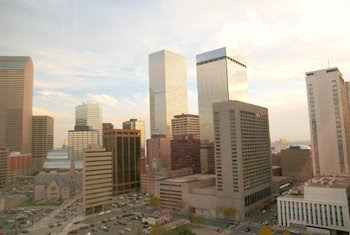 The city of Denver is the largest city in Colorado and is also the state’s capital. The nickname of "the Mile-High City" was given to Denver because it is situated at an elevation of one mile above sea level. Denver has the largest park system in the U.S. and experiences more than 300 sunny days in a year, which makes it sunnier than San Diego or Miami Beach. Because of this and its proximity to the mountains, Denver has gained a reputation as being a very active, outdoor-oriented city for skiing, hiking, climbing and camping. Denver lies at the foot of the Rocky Mountains and experiences a semi-arid type of climate. Autumn (October through December) has a warm climate with sunny days and cool nights. The climate of Denver can be quite unpredictable and does experience frequent weather fluctuations. A popular saying in Denver is that if you don’t like the weather, just wait a minute; it will change.